If your boiler or burner needs repair we have the people to get you up and running again. We have experience with most models in use today. 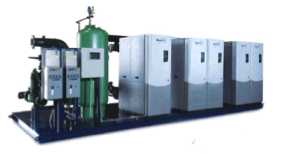 We work extensively with gas burners, oil burners, and dual fuel burners in water boiler or steam boiler applications. Our technicians understand hydronic and steam systems. Heat generation, heat distribution, and point of use heat transfer components all work together. We believe our systems oriented focus gives us an advantage when there is a problem. 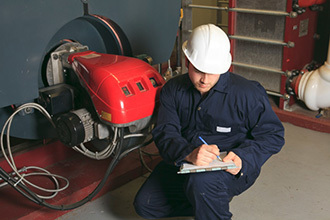 C&C can prepare your boiler plant for inspection by reviewing your system and providing necessary repairs and/or modifications for compliance. 24-hours a day every day of the year our service department is available via a system of pagers and cellular phones. Keep your facility operational; call us. We’re always ready to respond.